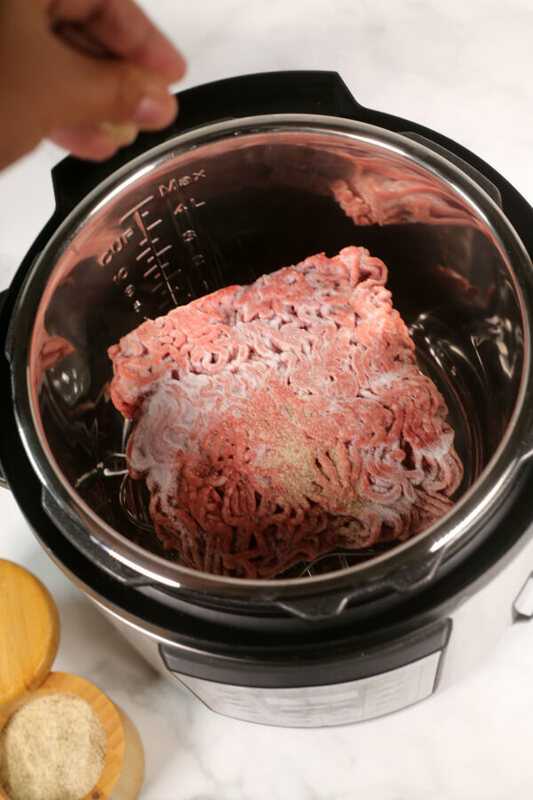 How to cook frozen ground beef in the Instant Pot pressure cooker – I will show you just how easy it is to turn frozen ground beef into perfectly cooked meat in about 30 minutes for all of your favorite ground beef recipes. It’s 4 pm and you just realized you forgot to take something out of the freezer for dinner. Don’t panic! I’ve got you covered. 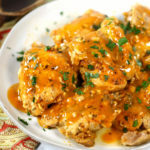 pressure cooker in about 30 minutes? That’s right. From frozen solid to perfectly cooked in a little over half an hour. 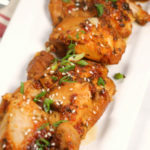 is able to cook the meat quickly using steam pressure. The sealed pot builds up pressure which makes steam from the liquid inside. That steam pressure helps the food cook faster. It also forces moisture into the food so meats come out tender and juicy. 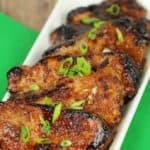 This recipe is really quite simple. 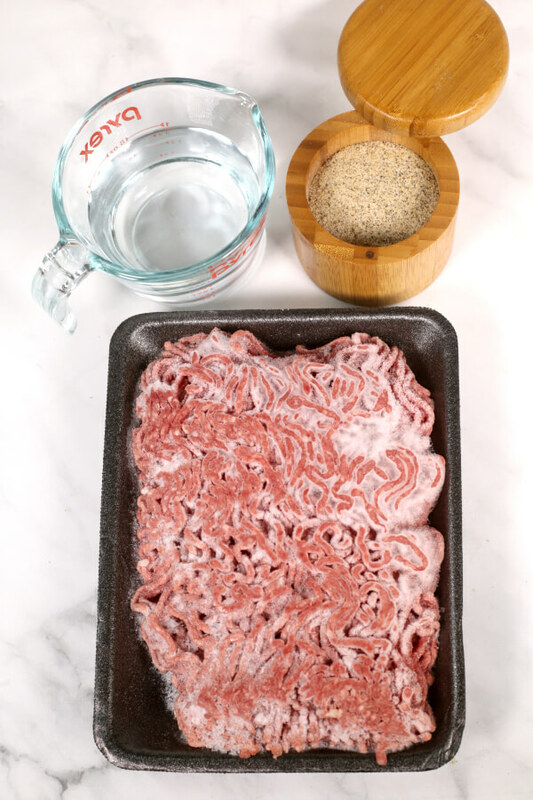 There are only a few ingredients – frozen ground beef, salt and pepper (I use my homemade House Seasoning Blend for a more complex flavor) and water. or pressure cooker. You don’t want the meat to come in direct contact with the water. Next, season the meat on one side, place it, seasoned side down on top of the trivet and season the other side. 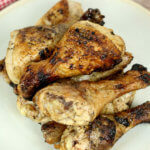 You can easily tell if the meat is cooked through by using a meat thermometer. It should register at least 160 degrees. Not sure what temperature to cook beef to? 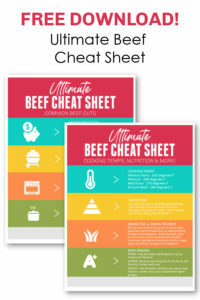 I’ve put together this handy Beef Cooking Cheat Sheet with handy cooking tips, temperatures, cuts of beef and more! 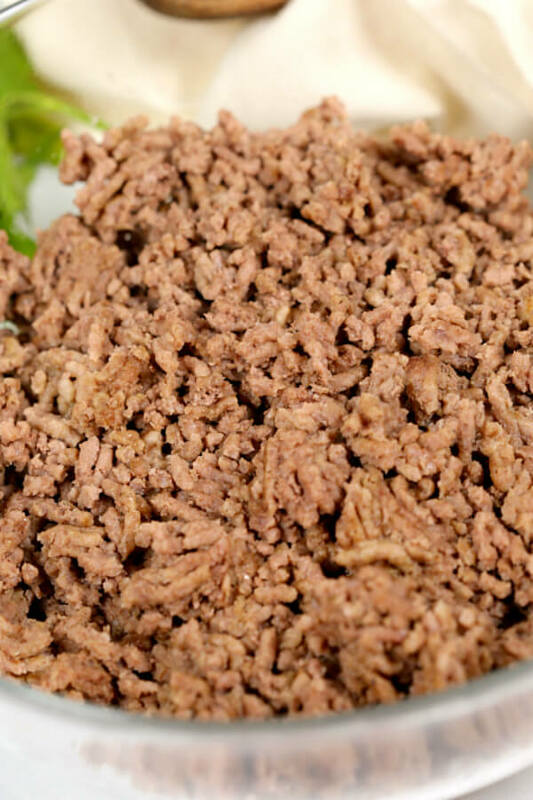 When the process is finished, you’ll have perfectly seasoned and cooked meat to use in all of your best ground beef recipes. 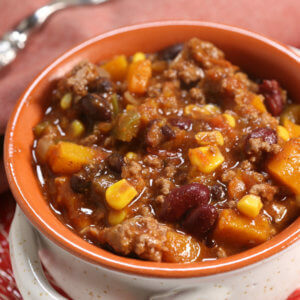 Once the ground beef is fully cooked in the Instant Pot pressure cooker, you can use it in a number of easy recipes. 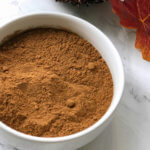 Nutritionally, beef packs a powerful punch of many essential nutrients that help busy families go further when it comes to the chaos of back to school and maintaining overall health. 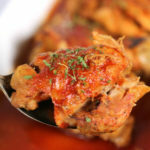 : This is pressure cooker is such a timesaver in the kitchen! : This is my all-time favorite digital thermometer. Never overcook meat again. 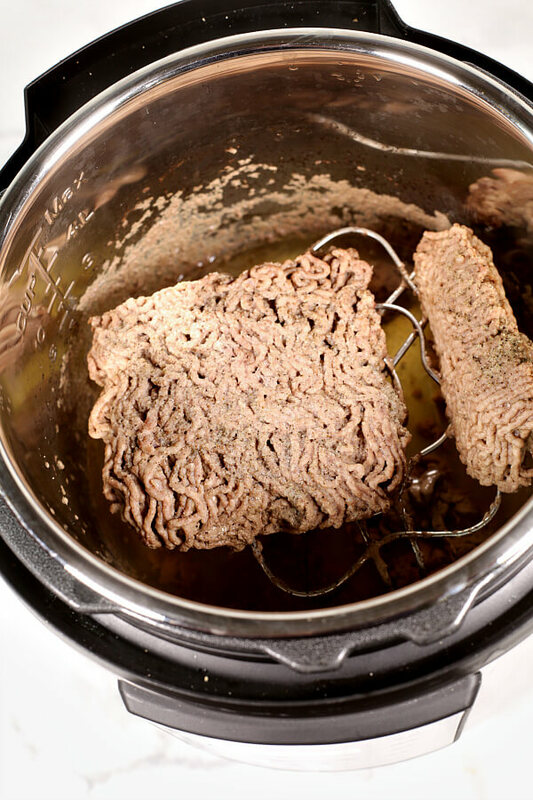 : This is such a handy tool for making perfect ground beef crumbles. 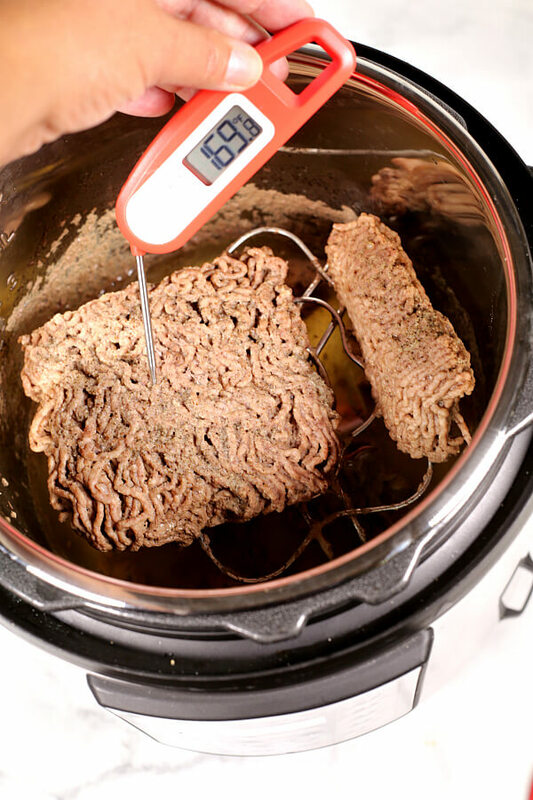 How to cook frozen ground beef in the Instant Pot pressure cooker - I will show you just how easy it is to turn frozen ground beef into perfectly cooked meat in about 35 minutes for all of your favorite ground beef recipes. 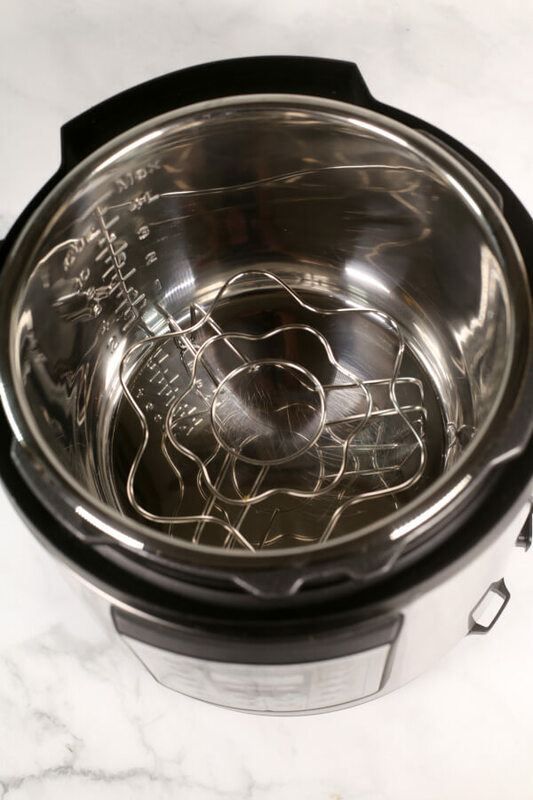 Place the trivet in the Instant Pot pressure cooker pot. Add the water to the bottom of the pot. Season one side of the beef with 1/2 teaspoon House Seasoning Blend. Place the beef, seasoned side down on top of the trivet. Season the other side of the beef with the remaining House Seasoning Blend. Attach the lid to the pressure cooker and ensure that the vent is in the "sealed" position. Set to high pressure for 24 minutes (if using fresh ground beef see notes). 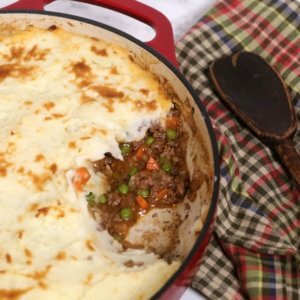 Once cooking is complete, do a quick pressure release and carefully remove the meat from the pot. 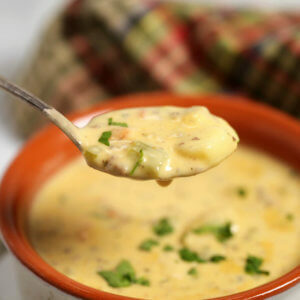 Discard any liquid and fat in the bottom of the pot. 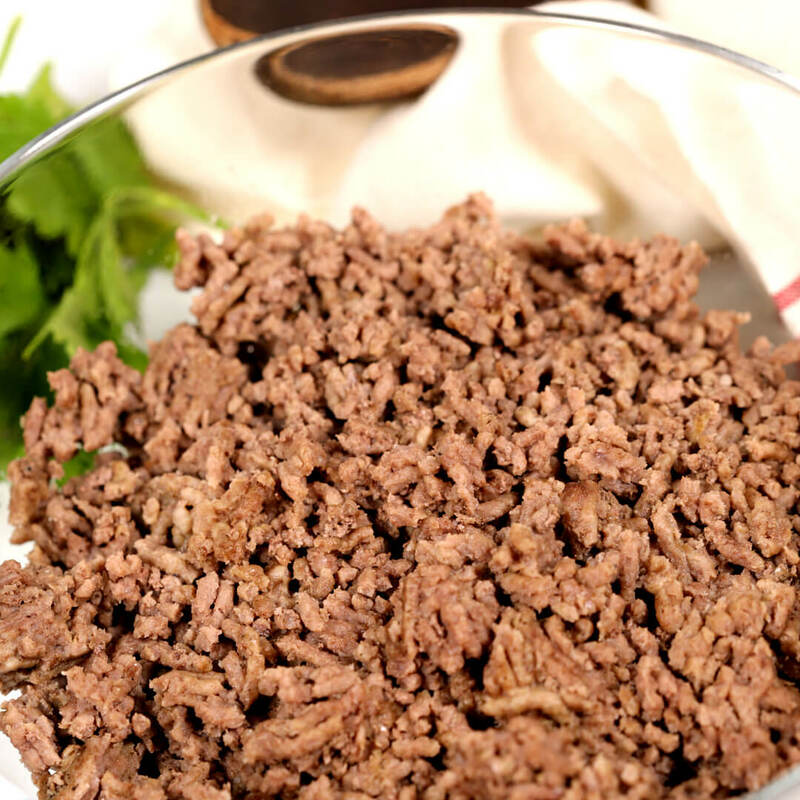 Break up the ground beef and use in your favorite recipes. If cooking fresh ground beef, adjust manual cooking time to 6 minutes. Using a brand new 12 quart instant pot beef came out at 140°. Fail. 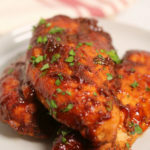 I’m sorry you had trouble with this recipe. I’ve used it dozens of times and it comes out perfect every time. 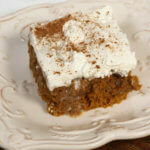 I even demoed it on TV using the exact recipe with the exact measurements in the recipe and it came out perfect. I would say Roast beef. I like Hamburger so many things you can make with it. 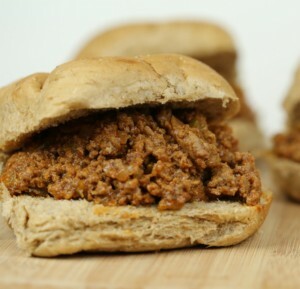 Ground beef is my favorite cut of beef to cook with because of the variety of things I can do with it. 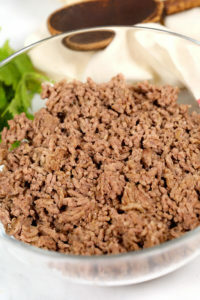 Ground beef is my favorite to cook with! 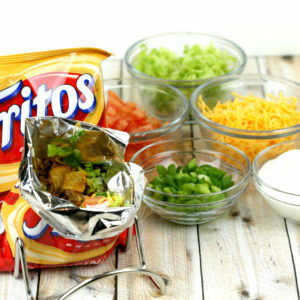 Everything from Hamburgers to Taco Spaghetti! 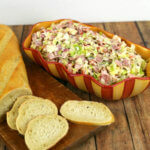 Yes, you read right….Taco Spaghetti was a new, different, favorite that my family loved. 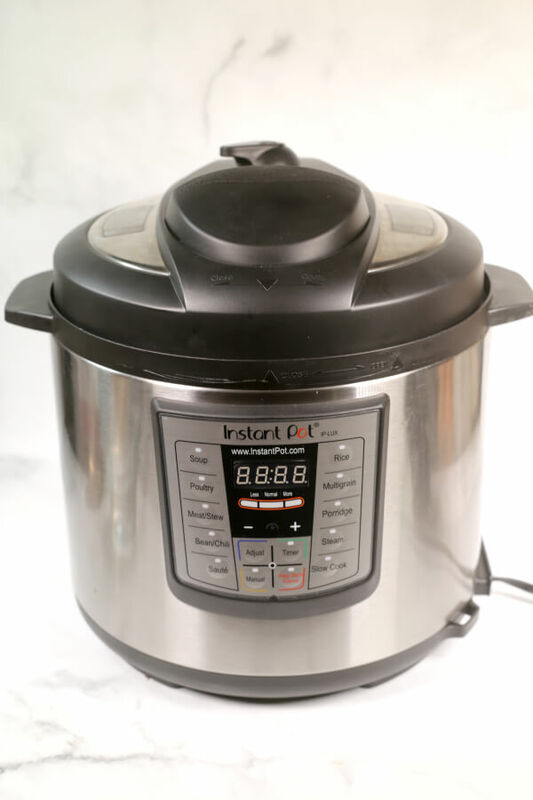 I have many recipes awaiting to try in an Instant Pot someday when I get one. Funds have been tight since I have been staying home helping raise my granddaughter, but loving it! Rib Eye steaks are on our grill a lot!